If your batteries and their connections are suffering from corrosion, Battery Corrosion Guard applied to your battery connections - whatever style you have (ie, post & clamp / side mount / stud) - will provide you the corrosion protection you expect. 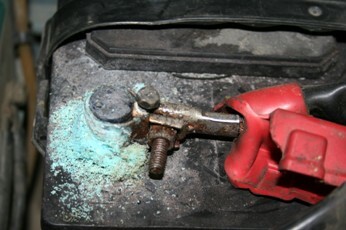 Battery Corrosion Guard works best if you properly clean your connections with a cleaning agent (baking soda and water). 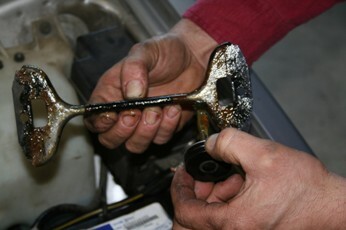 Dry all connections before using the applicator brush to apply Battery Corrosion Guard. 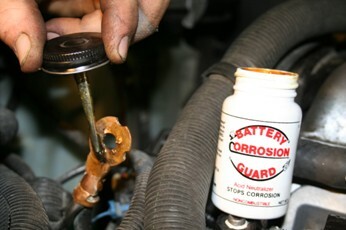 Battery Corrosion Guard will dry to a rubber-like texture, sealing and carrying its own acid neutralizer to protect your connections. 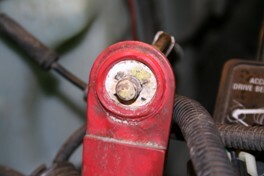 Battery Corrosion Guard will remain intact if undisturbed. With activities such as pressure washing under your vehicle hood or disconnecting your battery terminals, you will want to reapply Battery Corrosion Guard for lasting protection. When using Battery Corrosion Guard, don't forget about your battery compartment hardware. 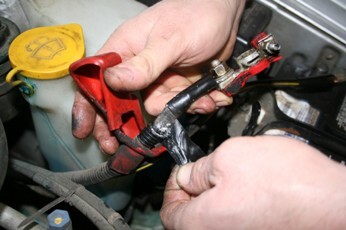 The battery cable beneath the cable insulation and any accessory connections may also suffer from corrosion. After properly inspecting the cable underneath the insulation, apply Battery Corrosion Guard to cable ends and assessory connections that may suffer from exposure to the elements. Battery Corrosion Guard works best if you properly clean your connections and hardware with a cleaning agent (baking soda and water). Dry all parts before using the applicator brush to apply Battery Corrosion Guard. 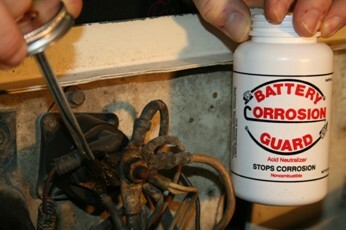 Battery Corrosion Guard can be applied to light bulb sockets and un-insulated connections. It has also proven valuable when applied to trailer plugs and any unsealed/uninsulated/non-rubber electrical connections. 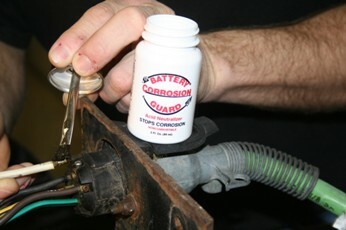 Battery Corrosion Guard works best if your connections are clean and dry before using the applicator brush to apply Battery Corrosion Guard. Battery Corrosion Guard will dry to a rubber-like texture, sealing and carrying its own acid neutralizer to protect your connections. 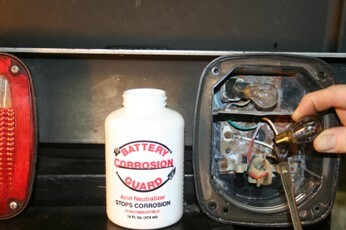 Battery Corrosion Guard will remain intact if undisturbed. With activities such as pressure washing under your vehicle hood or disconnecting your terminals, you will want to reapply Battery Corrosion Guard for lasting protection. Do not use Battery Corrosion Guard in an unapproved manner. 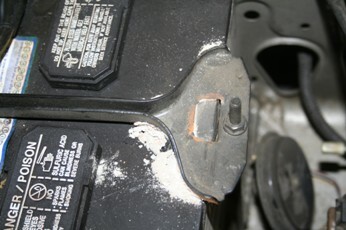 Battery Corrosion Guard is not known to be toxic. Not for human consumption. If swallowed or aspirated, immediately contact a physician. Eye contact, flush with water and contact a physician. Contains viscous hydrocarbons. Keep out of reach of children and pets.